The Wraps Event, For Wrappers, By Wrappers! WRAPSCON will once again be the single largest gathering of wraps professionals. The best minds in the industry will be at the show sharing their secrets, presenting live demonstrations and interacting with top-notch installers and those new or relatively new to the ever-growing world of wraps. WRAPSCON 2018 will feature more education geared toward wraps professionals, more contests, more hands-on opportunities for installers of all ability levels, and more vendors featuring today's top tools, templates and films. 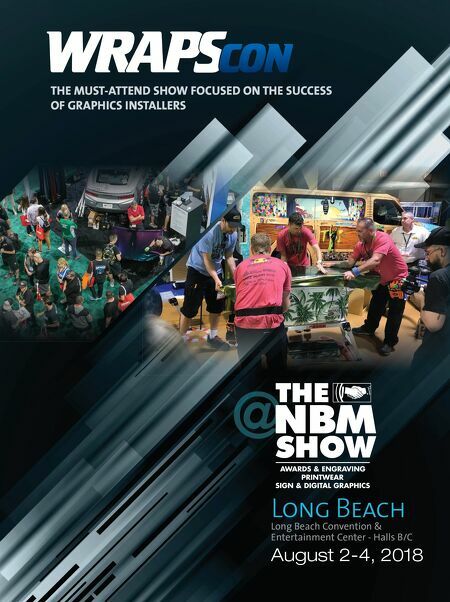 The event will be held at the Long Beach Convention & Entertainment Center in conjunction with THE NBM SHOW August 2-4. WRAPSCON will take over an entire section of the exhibit hall. In years past, our exhibitors have delivered demonstrations on floor graphics, auto and truck installations, a boat installation, and even a small airplane wrap. Check out some amazing show cars as well. The excitement is already building for what WRAPSCON 2018 will have in store. 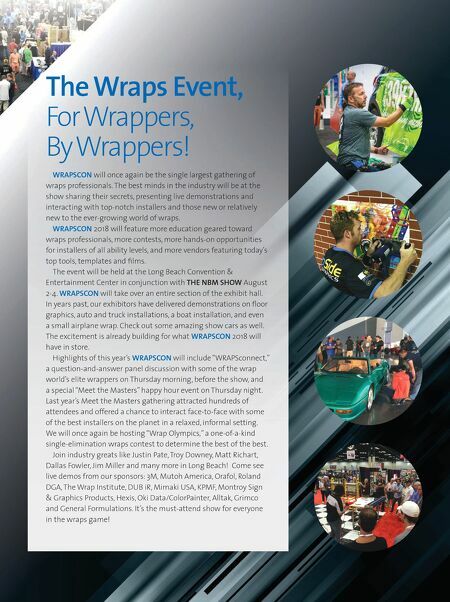 Highlights of this year's WRAPSCON will include "WRAPSconnect," a question-and-answer panel discussion with some of the wrap world's elite wrappers on Thursday morning, before the show, and a special "Meet the Masters" happy hour event on Thursday night. Last year's Meet the Masters gathering attracted hundreds of attendees and offered a chance to interact face-to-face with some of the best installers on the planet in a relaxed, informal setting. We will once again be hosting "Wrap Olympics," a one-of-a-kind single-elimination wraps contest to determine the best of the best. Join industry greats like Justin Pate, Troy Downey, Matt Richart, Dallas Fowler, Jim Miller and many more in Long Beach! Come see live demos from our sponsors: 3M, Mutoh America, Orafol, Roland DGA, The Wrap Institute, DUB iR, Mimaki USA, KPMF, Montroy Sign & Graphics Products, Hexis, Oki Data/ColorPainter, Alltak, Grimco and General Formulations. It's the must-attend show for everyone in the wraps game!